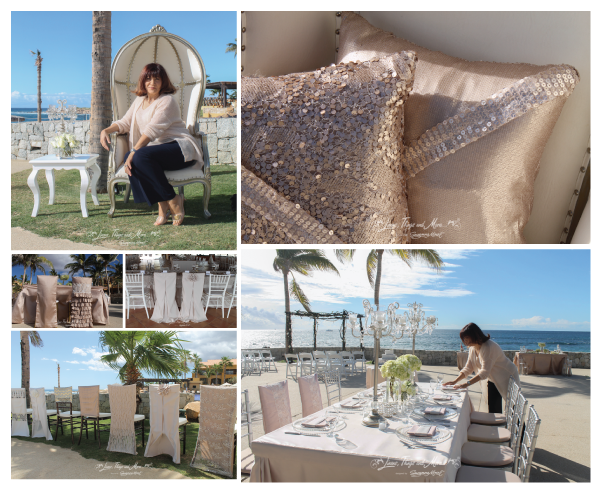 As Cabo’s premiere event design and rental company, Linens, Things and More… has a great reputation for trendy, sophisticated designs. The executive event designer behind every chic décor collection is owner Suzanne Morel. With a lifetime of experience working in high fashion, owner and executive event designer Suzanne Morel adds her personal touch to each and every collection, and she always has an eye out for the next big trend. And speaking of trends, these geometric lanterns are just one recent stylish addition to the inventory at Linens, Things and More… This modern lantern collection looks fabulous and is so unique—another great result of Suzanne’s creativity and constant attention to detail! This entry was posted in Accessories and decor, Cabo event design and decor, Special Event Decor in Cabo, Suzanne Morel, Wedding Inspiration, Weddings and corporate events decor and tagged bride Suzanne Morel experience, Cabo event design, CABO EVENT RENTALS, Cabo wedding design, Cabo wedding lantern, Cabo wedding rentals, chair rental in Cabo, destination wedding design, destination wedding rentals, geometric lantern decor, high end wedding in Cabo, Mexican event design, Mexico event rentals, modern wedding decor, sequin wedding decor, Suzanne Morel designer, table rental in Cabo, WEDDING IN LOS CABOS.